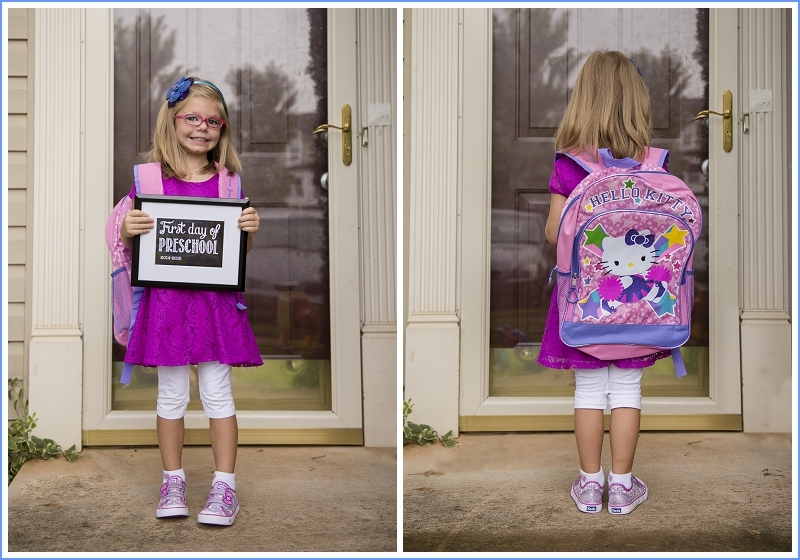 Last month, Autumn started her second year of preschool. 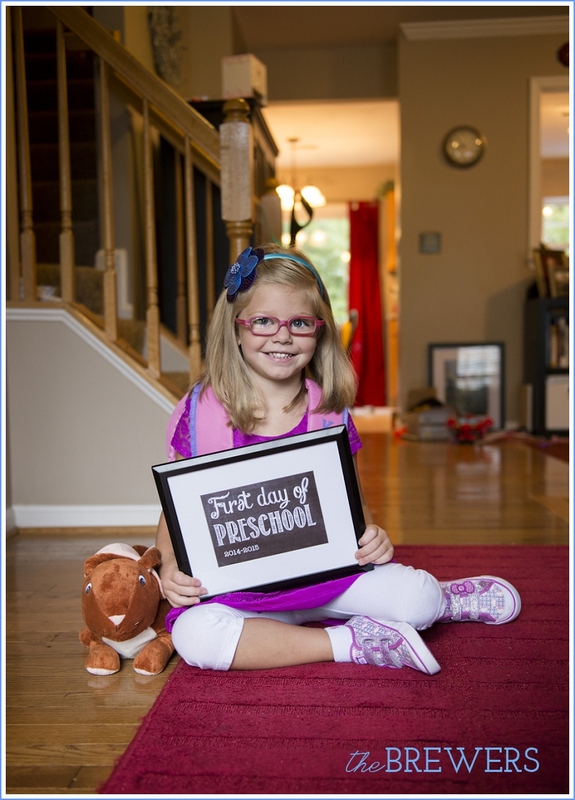 I'm not exactly sure what "Pre-K" is, since we've always just called it preschool, but I'm pretty sure she's in Pre-K. Initially I was really disappointed when Autumn missed the cutoff for Kindergarten by 21 days. I mean, I'm not looking forward to bullies on the bus, jerks in her class or all that comes with school - but it was hard to feel like so many of her friends (at church, in her class) were leaving her behind. However, after seeing how well she did at preschool orientation and how ahead of the game she was, I realized just how ideal and wonderful it is that she gets to do preschool another year. She'll be that much more mature and prepared for Kindergarten next year! I made a big fuss over the first day, with picking out a special first day of school outfit, new shoes, and a new backpack. All of her choosing (with some help from Mommy). She's such a sweet girl and I can't get over how grown up she looks in these photos! She insisted on a picture with her bunny from Nana. Oh my goodness! She's grown 5 years in that bottom picture!